Hello friends! Welcome to the blog this week where we're having a big ol' delicious blog hop/product swap with those fantastically talented people at The Crafter's Workshop. And stop by The Crafter's Workshop blog to see the last days worth of pieces from them. Don't forget to comment and let everyone know how great their work has been this week!! We'll draw two winners from two separate blogs to win a LB o' Rubber! Hello friends! Welcome to Day 4 of the blog this week where we're having a big ol' delicious blog hop/product swap with those fantastically talented people at The Crafter's Workshop. Visit her blog to see details. 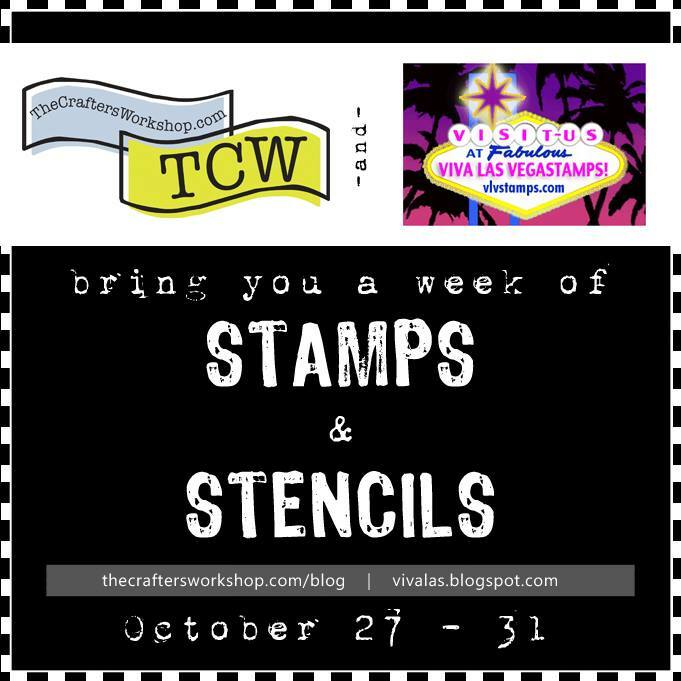 And visit The Crafter's Workshop blog to see what those talented artists are up to. We'll see you back here tomorrow for the final day and more projects by our Design Team. Hello friends! Welcome to Day 3 of the blog this week where we're having a big ol' delicious blog hop/product swap with those fantastically talented people at The Crafter's Workshop. 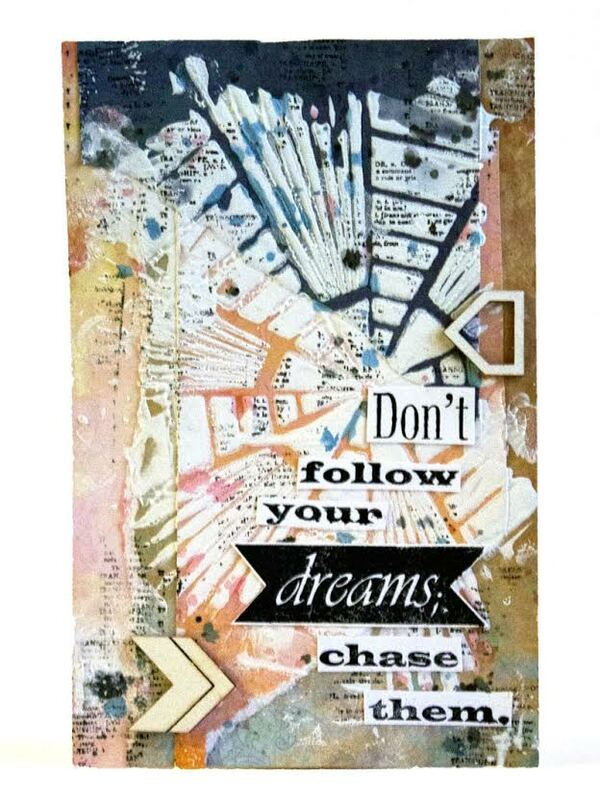 And visit The Crafter's Workshop blog to see what those talented artists are up to. We'll see you back here tomorrow with another project by our Design Team. Hello friends! Welcome to Day 2 of the blog this week where we're having a big ol' delicious blog hop/product swap with those fantastically talented people at The Crafter's Workshop. 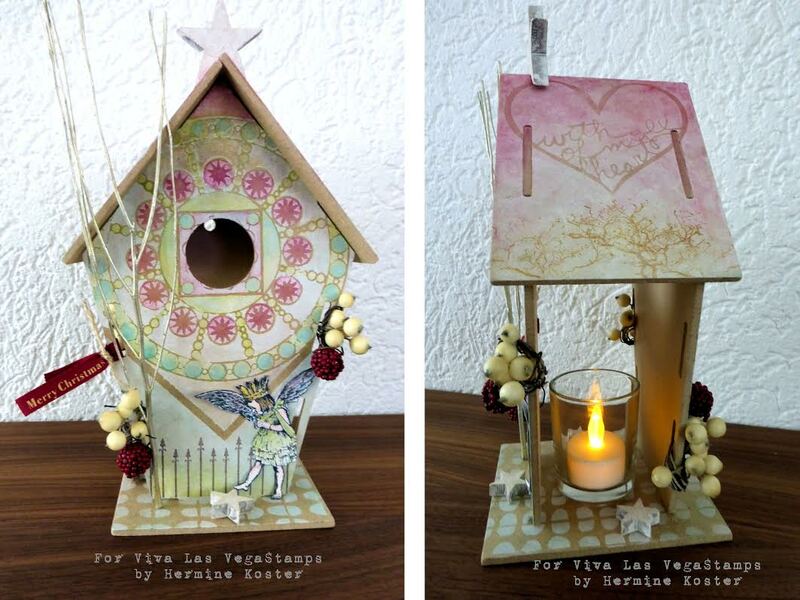 Stop by her blog for all the details and visit The Crafter's Workshop blog to see what those talented artists are up to. We'll see you back here tomorrow for more projects by our Design Team. Hey everyone. Shanna here again. 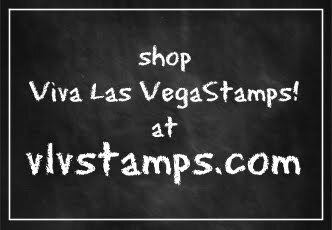 I am excited to share my last guest designer project with you that I created for Viva Las Vegas Stamps. 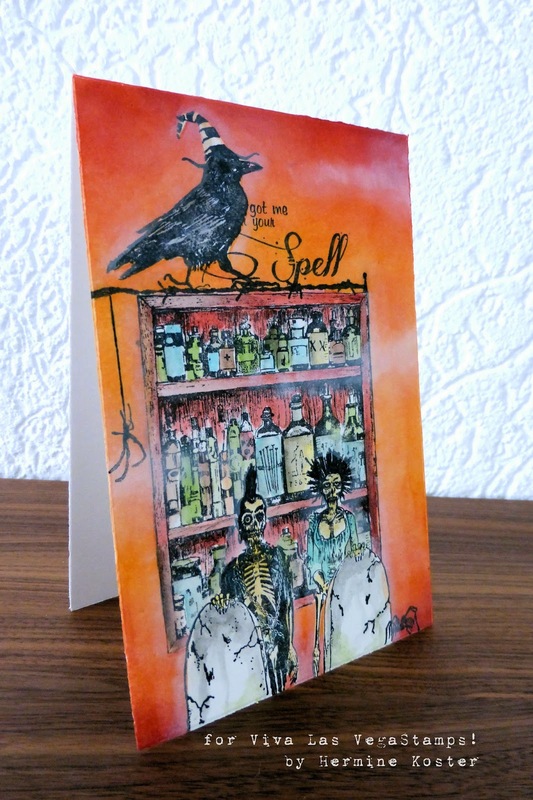 I am beyond excited to share with you a fun card I created. 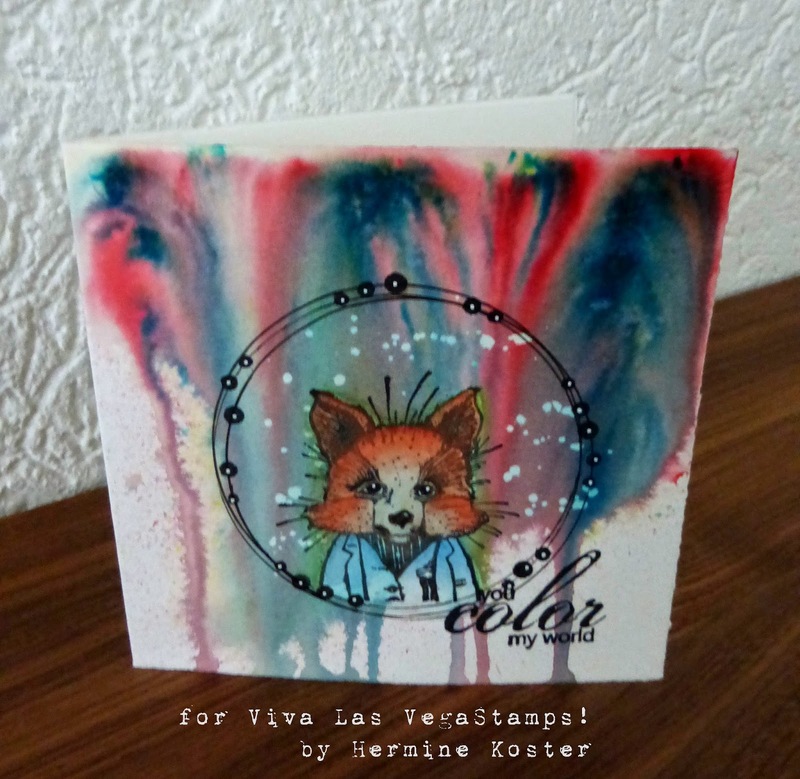 I got to play with a lot of mixed media products on this card. But the stamps just make it really come to life. I used these two stamps from the plate numbered 1436. They were both stamped using Archival ink! I cut them out and mounted them to my card using some cardboard from a shipping box. For my background I started with some twinkling h2o's, but once it was dry used a brick wall stencil and some light modeling paste. Once that dried I added some Distress Paint splatter to make the back funky and fun. Also I couldn't help but to add flowers. I don't know why but it screamed at me add flowers! I am so thankful DeeDee let me be a guest this month and I had fun sharing with you all and hope that you gained some inspiration! Have an awesome crafty day! 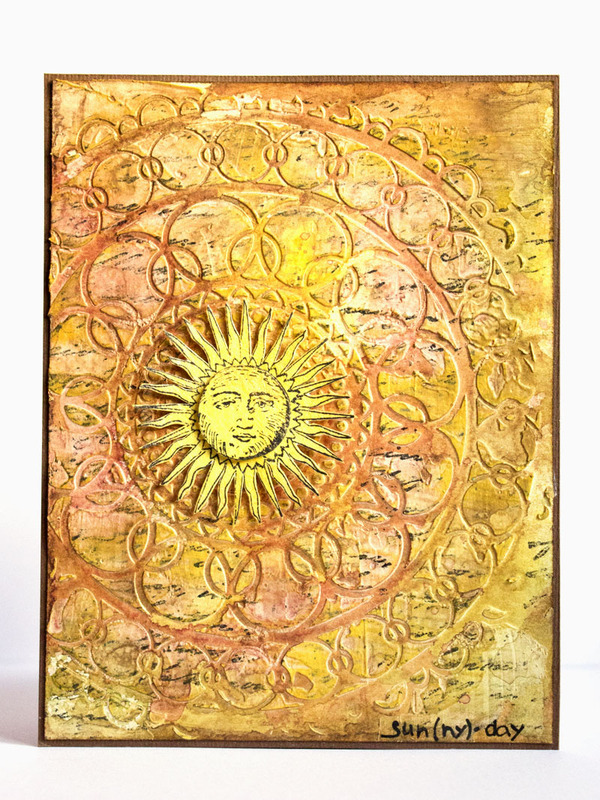 Then I laid the Gelli plate down onto my clean page and with my hand smoothed it down to get the paint to transfer. 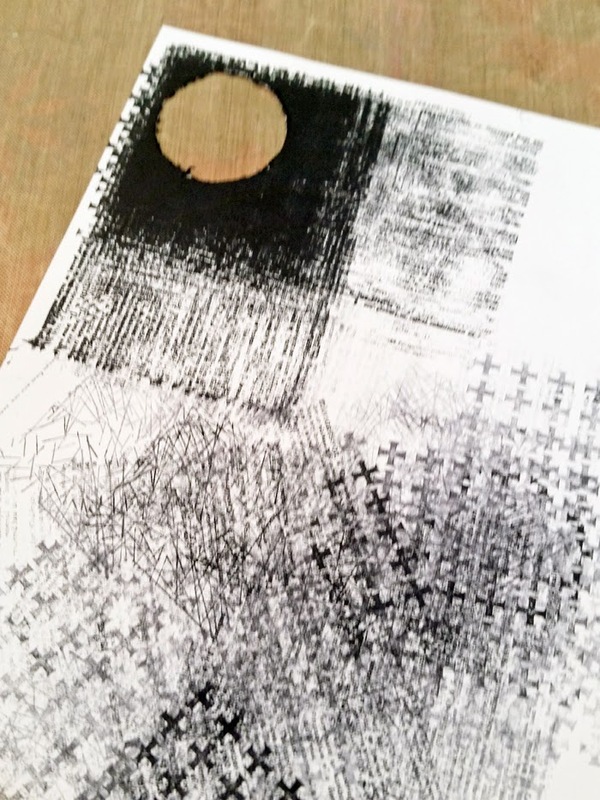 As you can see by the circles I also used some stencils with black paint. 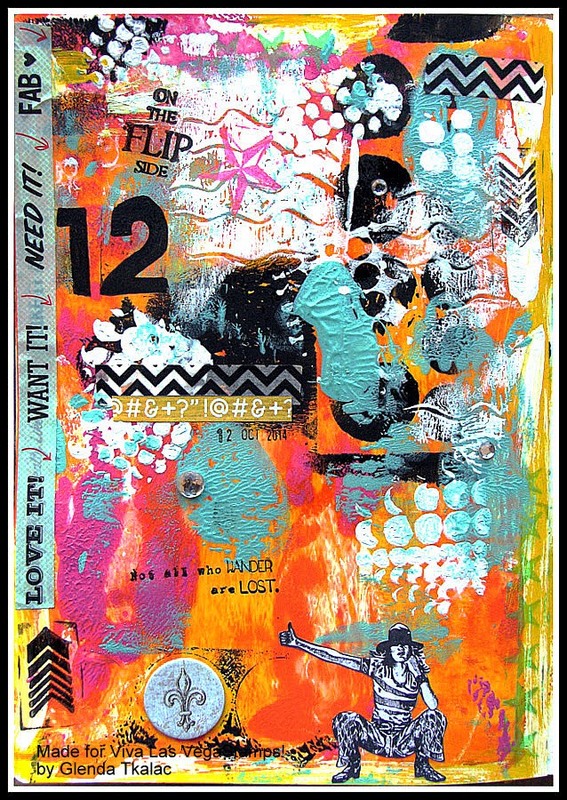 I also used more stencils with different colors of paint directly onto my Gelli plate and then transferred the plate onto the page again. At one point I put white paint onto my Gelli plate and then lightly drew some squiggles and then transferred it onto the page, I thought that was kind of neat! The stamps I used for this project were the hitchhiker stamp, the row of stars, the star pin, the not all who wander are lost, on the flip side and the chevrons. Hello and Happy Wednesday!! Tina Walker here today! 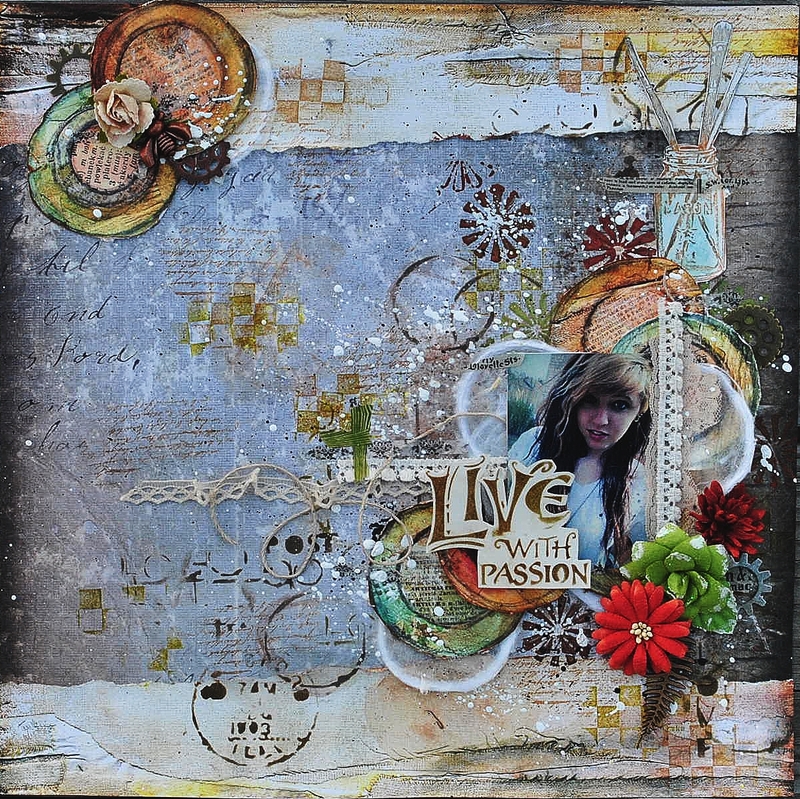 Today, I am sharing an Art Journal page, full of texture, color, and fun! 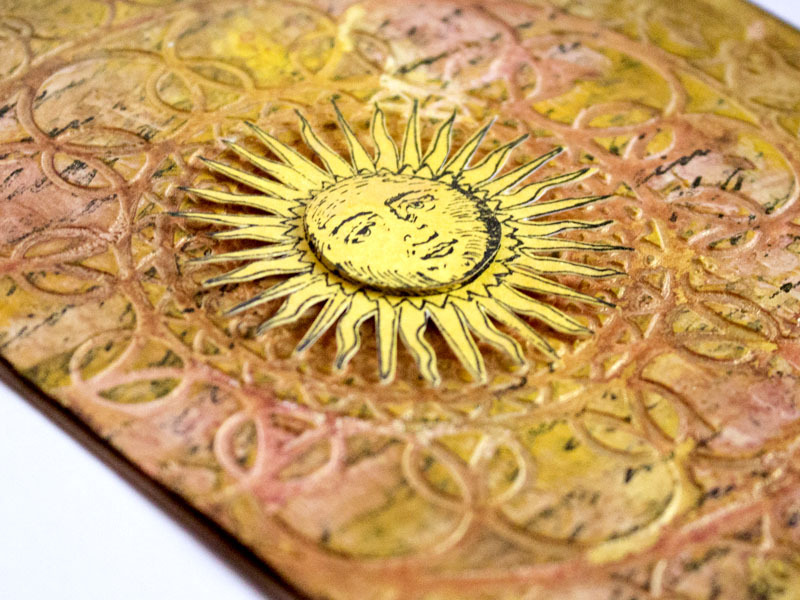 If you have seen several of my past posts, you know that one of my favorite techniques is to create Art Journal pages using Gelli Plate Prints. 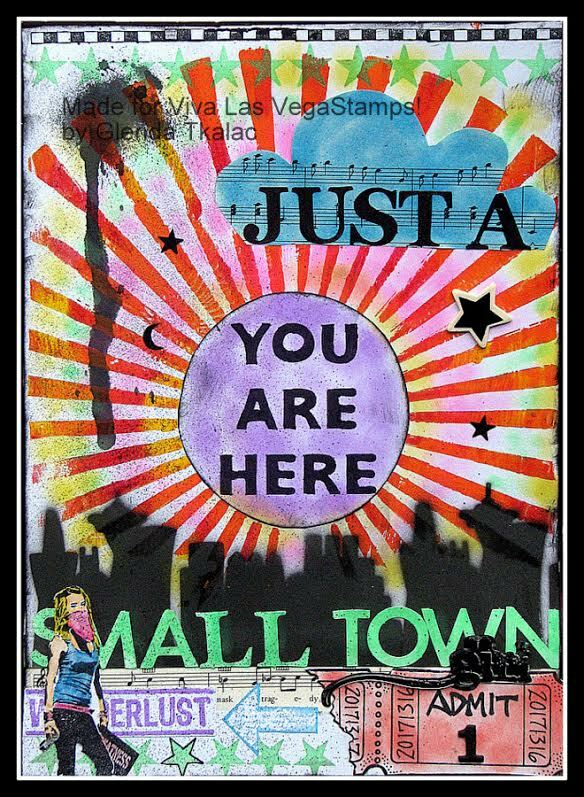 I love the instant background you achieve with the prints and I love to embellish them to create an art journal or doodle page. 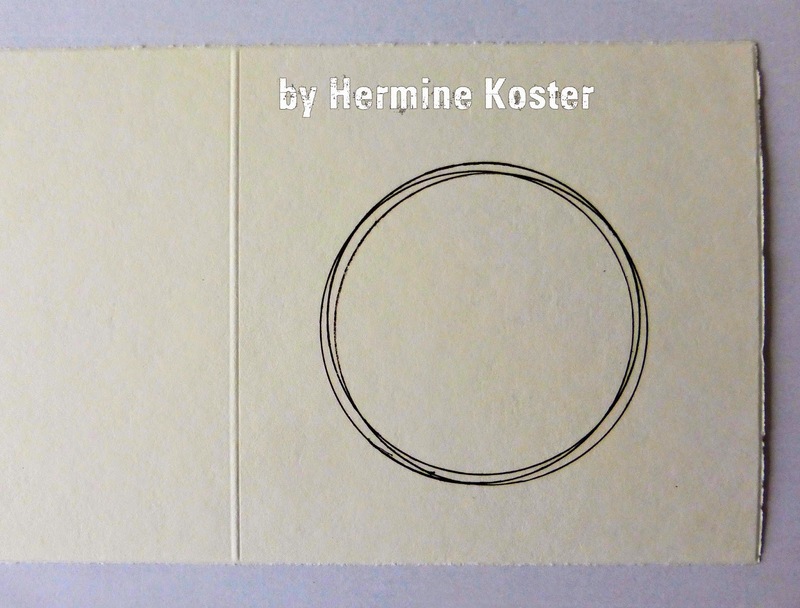 To create my art journal page, I enhanced the circle design to add more texture and interest. 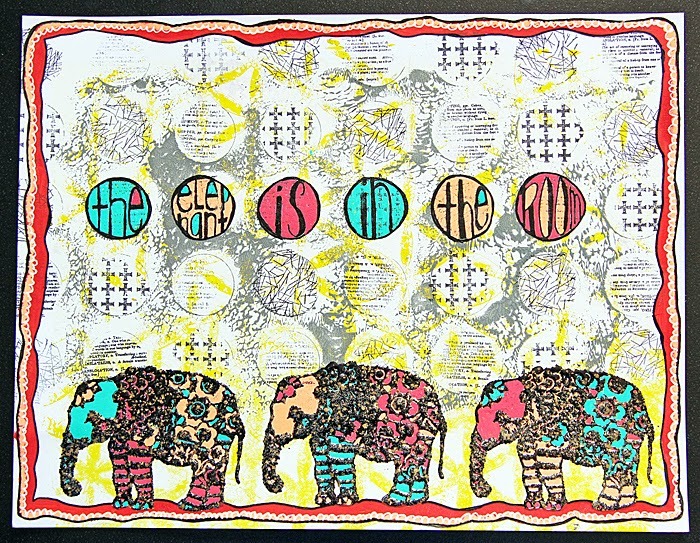 But before I did this, I created my focal point....the stamped, embossed elephants. 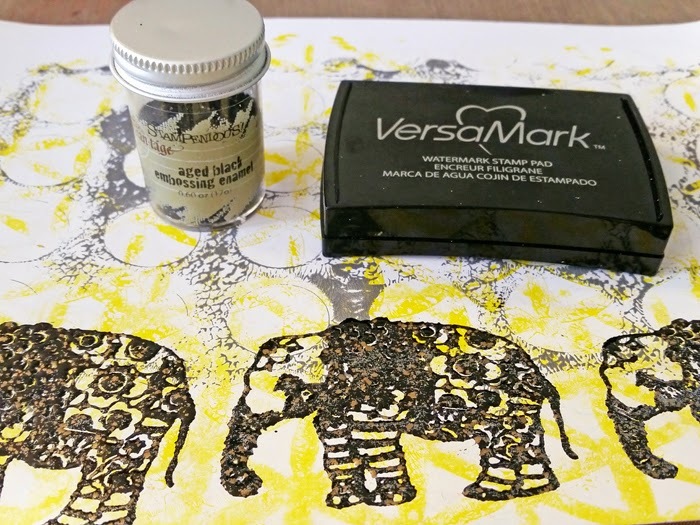 I LOVE this Whimsical Elephant stamp. 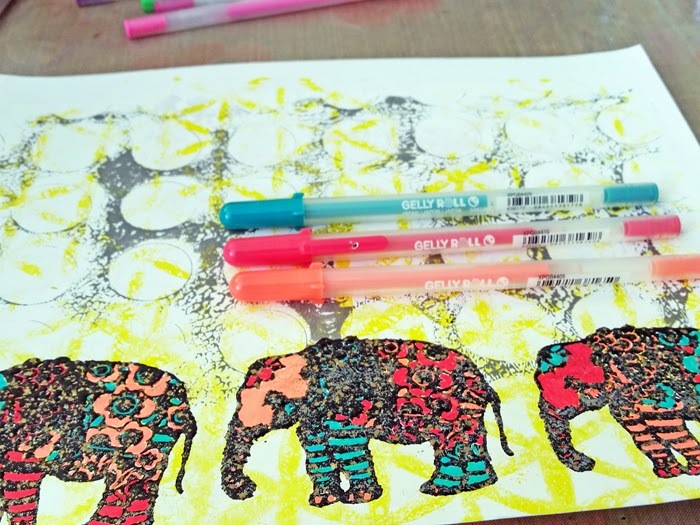 I added color to each elephant using Gelly Roll Pens. (love these). They have a great opaque, bright color and are perfect! 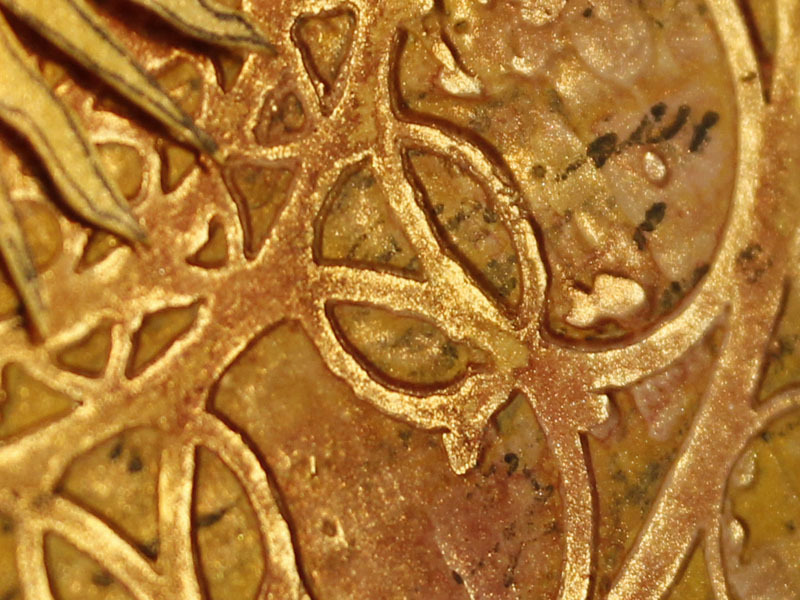 Once the pen dried, I started added texture and embellishing the circle design. To do this, I punched a circle from a scrap piece of cardstock to use as a mask. 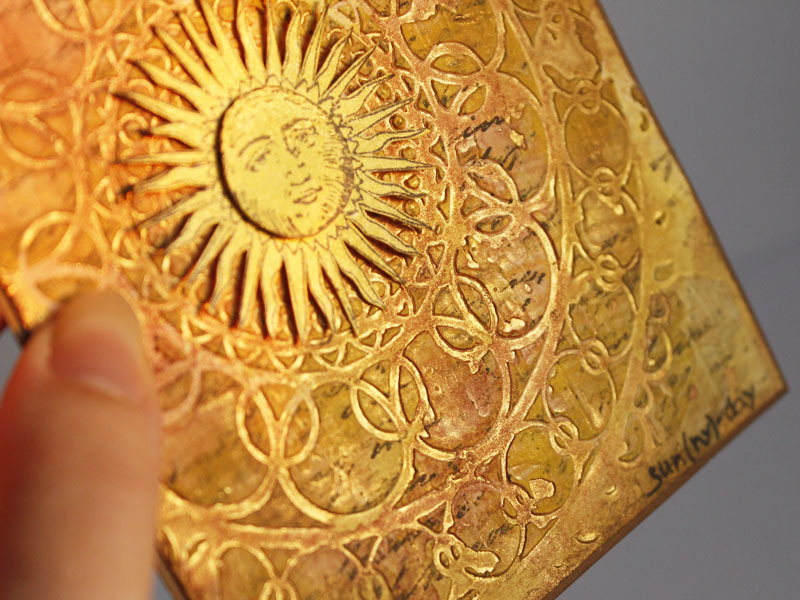 I then stamped within the punched shape. This only added the stamped image to the circle. 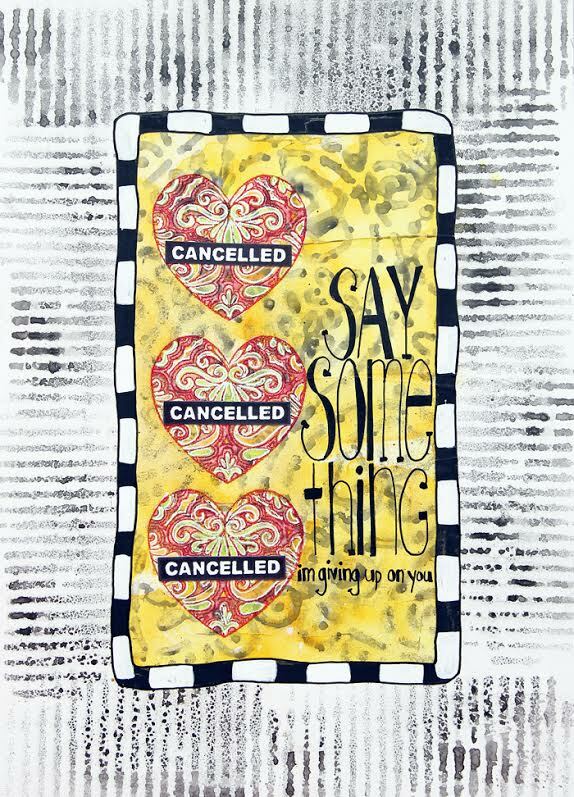 The stamping added great texture and interest to the plain background. I love this technique and will be using it again. I hope you enjoyed my page today! 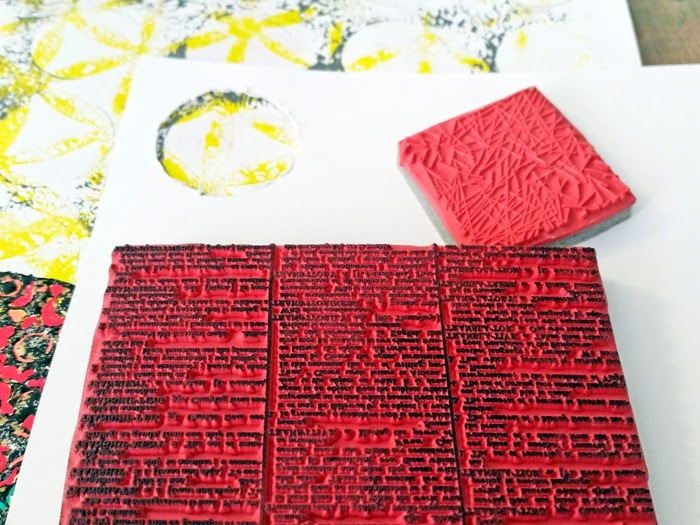 I am always looking for new stamp techniques. Please share them with us. 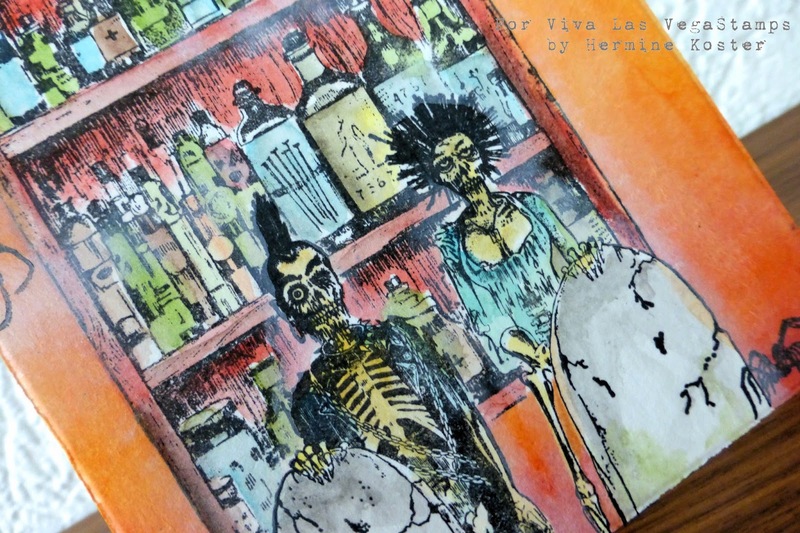 Hi Hermine here, this time with a Halloween card, in spite of the fact we don't celebrate Halloween overhere I love the images. step 1: stamp Skeleton punk/tombstone 860 and skeleton punkess/tombstone867 next to each other, make masks and put on. step 2: stamp Apothecary Cabinet 19515, make a mask and put on. step 4: stamp raven in witch hat 19509 on top of the Barbed wire, make a mask and put on. step 6: make sure all the masks are still on your car, then sponge with several colours distress ink the background. Remove the masks and colour the images with distress ink and waterbrush. step 7: Pur on masks again and make some fog/mist with Memento Luxe Wedding Dress. Take off masks. Hope you like my card, I surely love making it. DeeDee here today! I'm always very fond of "CAS" cards (Clean and Simple) because they SEEM like they should be quick to put together, and quick to get the point across, and perfect for little notes here n there. That being said, I can never do them. EVER. Then I've taken the Blowing Dandelion with Extra Seed and stamped only the seed across the card in two colors; Versafine Black and Versafine Smoky Gray from our friends @ ImagineCRAFTS. 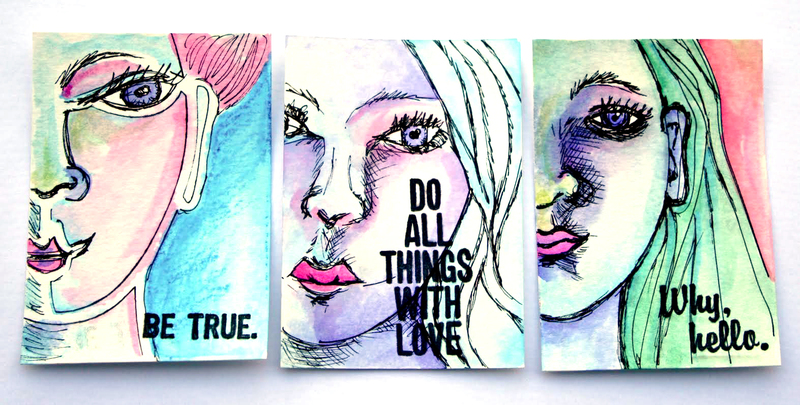 The sentiment was hand written on coordinating watercolor paper and adhered down. 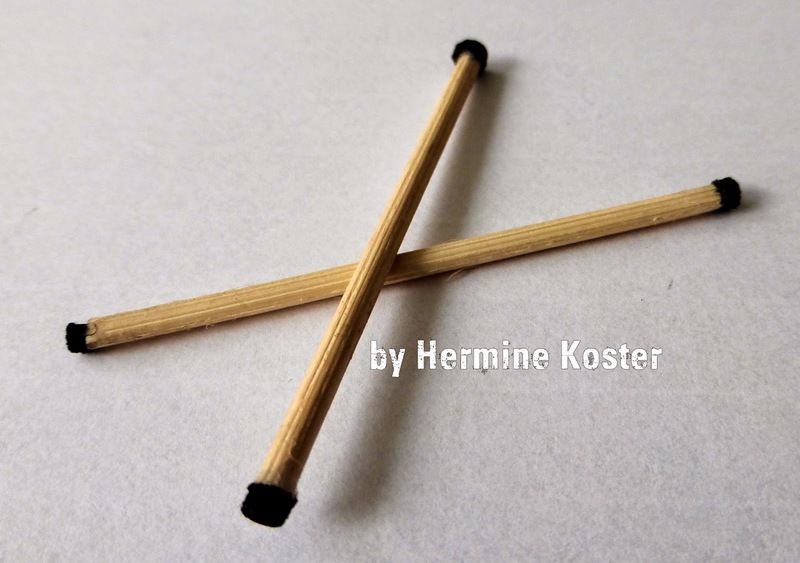 Hi Hermine here, this time I made a little tutorial, hope you like it. step 1: Take a piece of cardstock, spray some water at the top of the cardstock, then throw in some Brusho powder, spray some more water and hold your card up straight so it can run down. 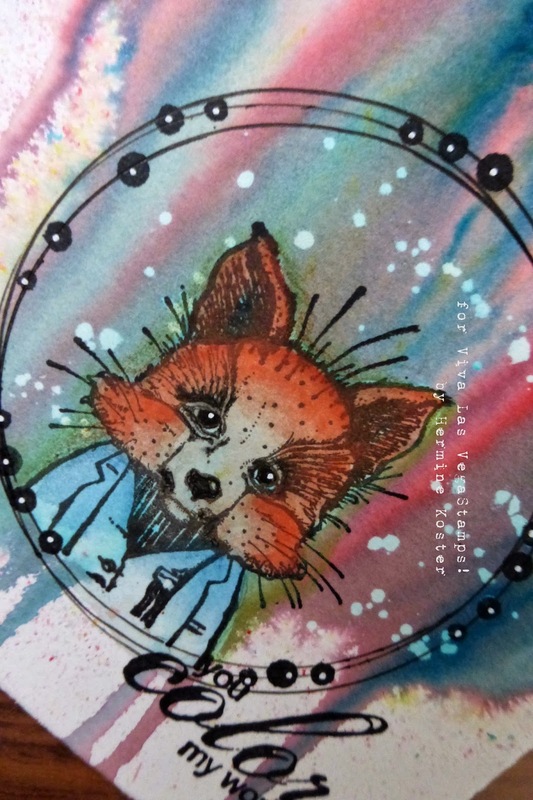 step 2: stamp Cute fox in coat 19158 wit Stazon, then draw some circles, below you find a tutorial on how to do this. Then stamp You color my world 19344, also with Stazon. step 3: take a fantastic and some bleech and take the color away in the fox. 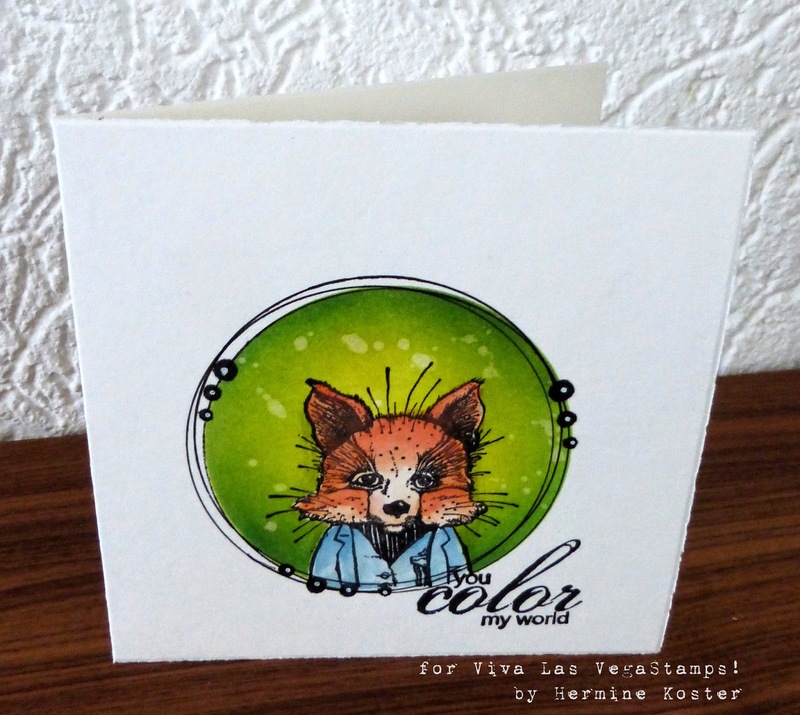 Give the fox some color with water color pencils. 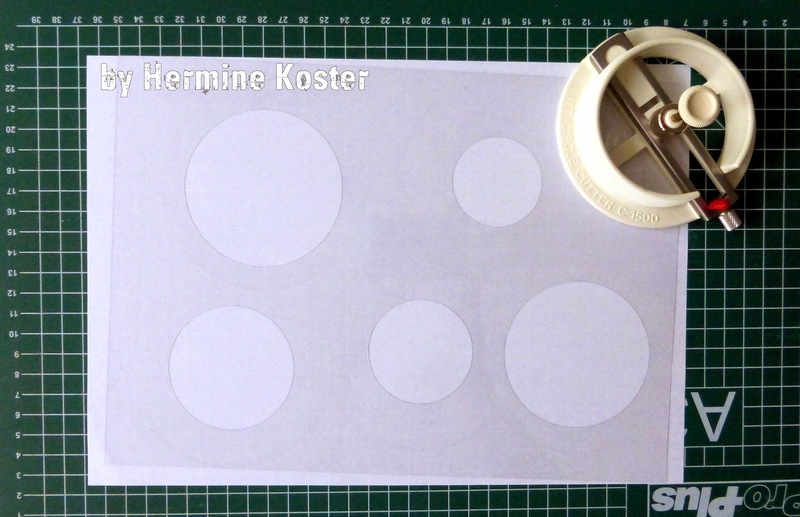 step 1: take a transparant sheet and a circle cutter and cut different sizes circles. This way you can choose with size you need. 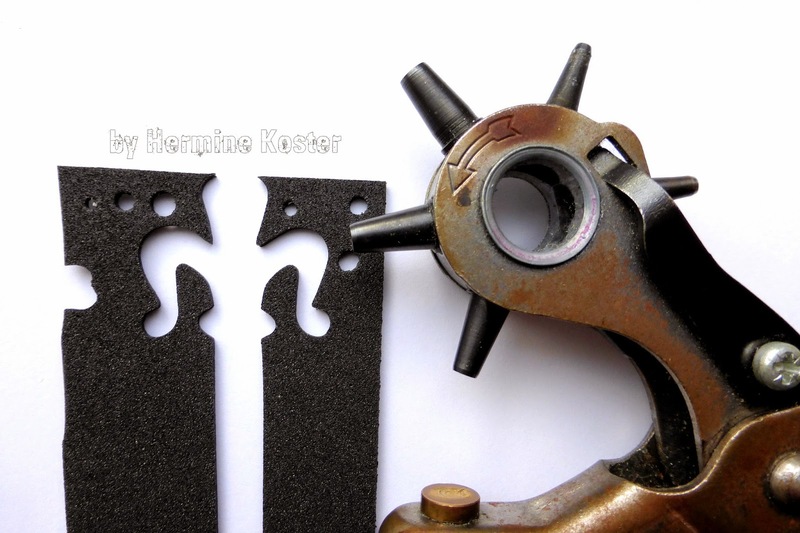 step 2: take a hole puncher and punch different sizes dots out of a scrap piece of foam. step 3: glue the dots onto sticks. step 4: for this tutorial I took a blanc card but in my sample I did this step after I had stamped. Take your transparant sheet, decide which size you want and draw the circles with a black fineliner, do this three times but moving the transparant sheet a little. 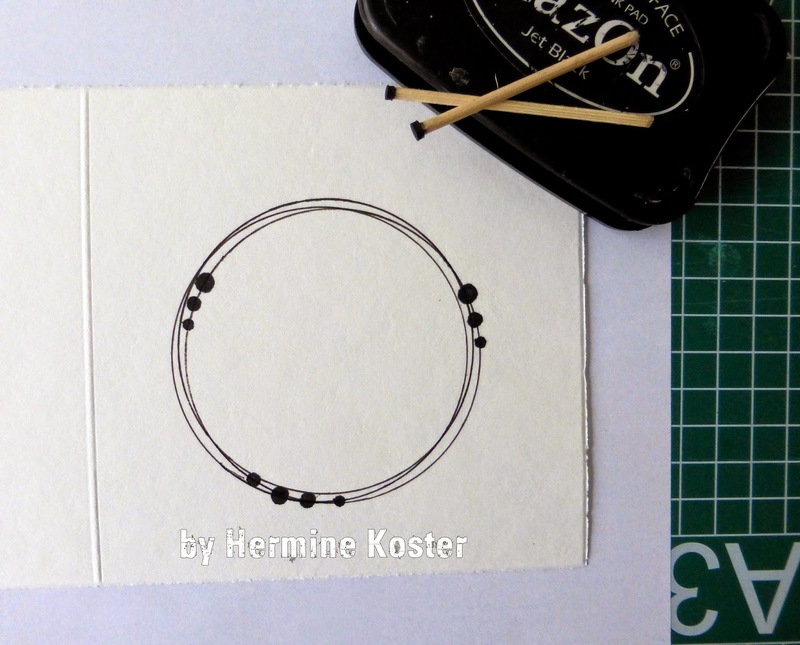 step 5: take you toothpicks with the dots on it and Stazon Black, dip the sticks into the ink and stamp around your circle. step 6: because I hate to waiste perfectly good things I finished my sample fot the tutorial off with the same stamps I used above, but now using my stencil as a mask as well and sponged the inner side, masking off the fox first. And as you can see if you changed the way of working around, you get a completely different result. Hi hi folks!! We've got a couple WINNERS to announce from our September Challenge! By popular vote the talented Harikini is our winner! Harikini please feel free to use the following image on your blog as our voted winner!! And our RANDOM winner is Carla. Congrats both ladies, please email me @ deedee430@gmail.com with your shipping address to collect your rubber! And don't forget to enter to win in our SPOOKY October Challenge. 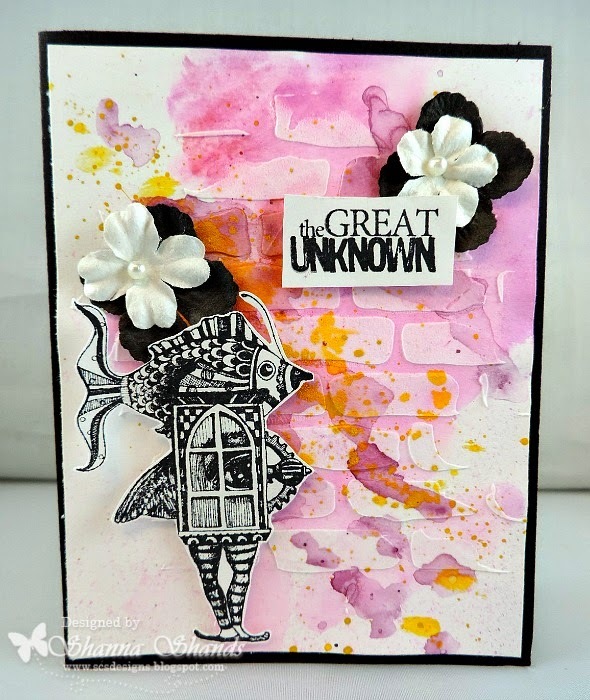 Guest Design Team Member : SHANNA SHANDS!